Home Tags Posts tagged with "Craig McLachlan"
Craig McLachlan has denied allegations of harassment made against him by three women. The accusations against the 52-year-old Australian actor concern his time performing in a 2014 production of the Rocky Horror Show. Three cast members accused the former Neighbors actor of inappropriate touching and harassment. Craig McLachlan stepped down from the Rocky Horror Show‘s current Australian run on January 8, but rejected the allegations as “entirely false”. The three actresses, Christie Whelan Browne, Erika Heynatz and Angela Scundi, said they had come forward to protect other cast members. Craig McLachlan had been reprising his role as Dr. Frank N. Furter in Adelaide. The allegations, also published by Fairfax Media on January 8, include Craig McLachlan’s inappropriate behavior against Whelan Browne during a performance. “I think people who know him know that he’s very generous, warm, funny… I saw a very different side come out in him which was terrifying,” Whelan Browne told the ABC. Erika Heynatz, who played Magenta, said she was forcibly kissed by the actor, while Angela Scundi, a chorus member, said she was the subject of unwanted advances. Two actresses raised concerns with the show’s senior producers but no action was taken, the reports said. In a statement on January 8, the musical’s production company said it was “shocked” to learn of the accusations. It said it would co-operate with authorities and conduct and internal investigation. 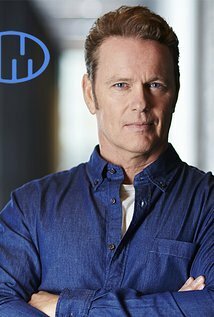 Craig McLachlan is a veteran of the Australian entertainment industry, having won Australia’s top TV award – the Gold Logie – and starred in programs including Home and Away and the Doctor Blake Mysteries.